Levi is located in the polar zone where, according to the statistics, the Northern Lights are visible 200 days of the year in the active season (September to April). This means they are highly likely to appear during your visit. The only thing that might prevent you from seeing them is cloudy weather. However, the chances of a cloudless night within the week are pretty good. Have you ever dreamt of meeting the REAL Santa? Well, dream no more! 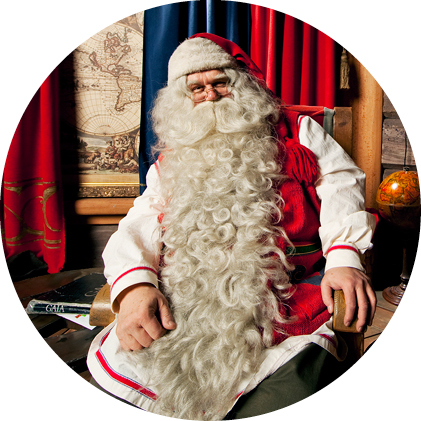 Now’s your chance to meet him in person in Santa’s Village (Joulupukin Pajakylä), in Rovaniemi, right on the edge of the Arctic Circle. Cross the magical Arctic Circle, take a selfie with SANTA, enjoy a drink or a meal in a local café or restaurant, buy souvenirs and send post cards from Santa’s official post office. This activity can not be booked in advance! Please ask your Tour Guide for more information and the Timetravels discount code! Easy or challenging – Levi has it all! Lots of blue pistes for beginners, red ones for intermediates and black pistes for the experts. Freeskiers can enjoy the Lappish style Snowpark and Street. Skiing season at Levi usually begins around the end of October and lasts until mid-May. The visit includes a reindeer safari (about one kilometre). The trail goes partly through the forest. 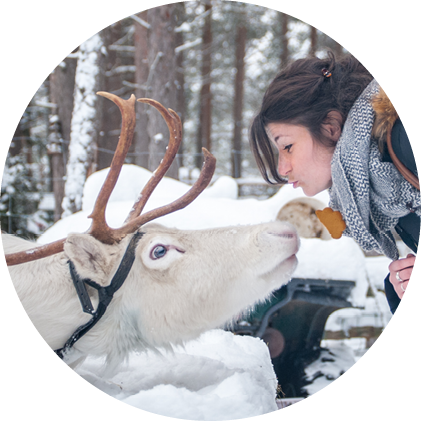 You will also have an opportunity to feed the reindeer and of course to take photos. What’s more, you will hear stories about what it’s like to be a reindeer in Lapland. Then back to the house to enjoy a warming hot drink. The activity lasts about 1–1.5 hours. 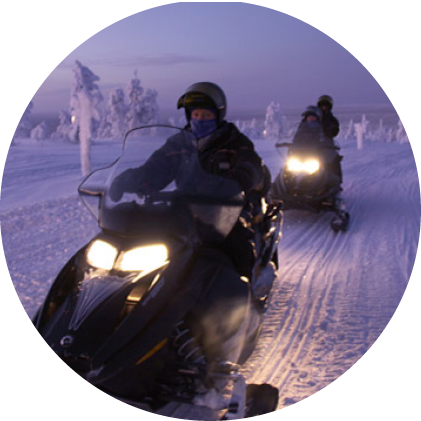 This activity features a snowmobile drive to Sammuntupa or Levin Lapinkylä – both of them cosy, old-fashioned reindeer farms. In the farmyard, you’ll meet the resident reindeers. Next, it’s into a traditional old cabin for a hot drink and a bun, and then back onto our vehicles for the return journey. Total distance about 30 kilometres. And the whole excursion takes approximately 2 hours. Snowmobile drivers must hold a valid international driving license. *NB! Without a driver’s license you can only be a passenger! In the event of a snowmobile accident caused by the driver, the driver will be charged a minimum fee of €850. Siberian huskies and cheerful and strong dogs those really like to pull the sledge! After a short instruction lesson the huskies will take you for a tour through the snowy landscapes. The sledge is shared for two people, each can drive about 20 min. After the safari you will enjoy a warm snack and tea in the base camp. When dusk descends and the stars come out, Arctic adventurers head for the top of Levi fell. Here, if we’re lucky, we can gaze in wonder at the Northern Lights and listen to the local guide tell tales of Lappish life and culture. On our way down, we call in at a Lapp hut for a snack and a tasty hot drink before bedtime. The activity takes 2–3 hours. With its multiple pools, jacuzzis, and saunas, Levi Spa Water World is possibly the best spa experience in Lapland. 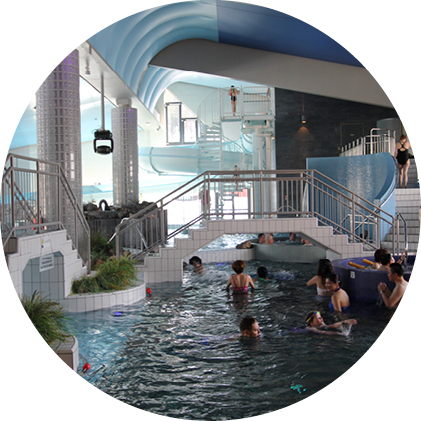 Take a dip in indoor and outdoor pools, sweat it out in different kinds of saunas, feel the thrill of the waterslide and immerse yourself in the amazing atmosphere created by fabulous lighting, sensational sounds and natural phenomena. The Spa is open from 10:00 to 22:00. Apart from being Finland’s national sport, cross-country skiing is also lots of fun! 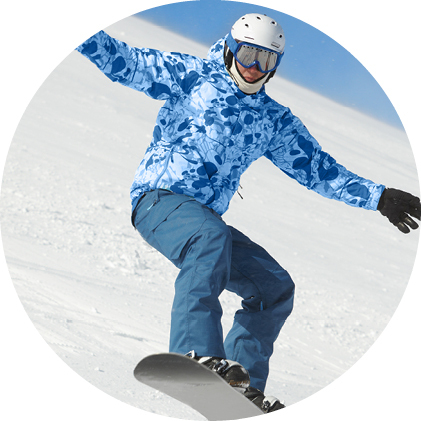 Our guides will show you the essential skiing techniques and take you out for a tour on professional ski trails. After your exhilarating trip, chill out Finnish-style in the saunas, jacuzzis and hot tubs of the Levi Spa! This all-day guided tour to the shores of the Arctic Ocean takes you through breathtaking landscapes featuring Finnish fells and Norwegian fjords to the tiny Norwegian fishing village of Skibotn, where you pause to explore the charming harbour, admire the surrounding mountains and take a dip in the Arctic Ocean – if you dare! On the way back, we stop for an authentic Lappish lunch. 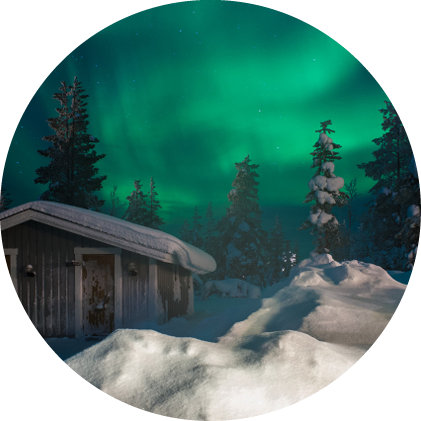 During the tour you will learn about Lappish culture, Sami mythology and how ordinary people live everyday lives in these extraordinary places. The tour is about 600 kilometres in total and lasts around 12 hours, depending on weather conditions. All you need is a comfy travel pillow and a swim suit, and you’re ready to go!